recently, an old college friend of mine has gotten me back into a few gallery shows out in california. they are usually part of a larger group showing and revolve around things that i love, pop culture. recently i was invited to participate in their halloween show and tried to think what i could do that would be different from the previous show…a real, physical piece of art. the last show, was a gojira theme, and i created a poster on the computer; it was well received and sold, but wanted to try something new with this show. going back to my roots as an artist, i settled on a linoleum block cut. next was the subject? halloween has been my favorite holiday for, well ever. what was a universal connotation for the holiday that really would resonate for me? 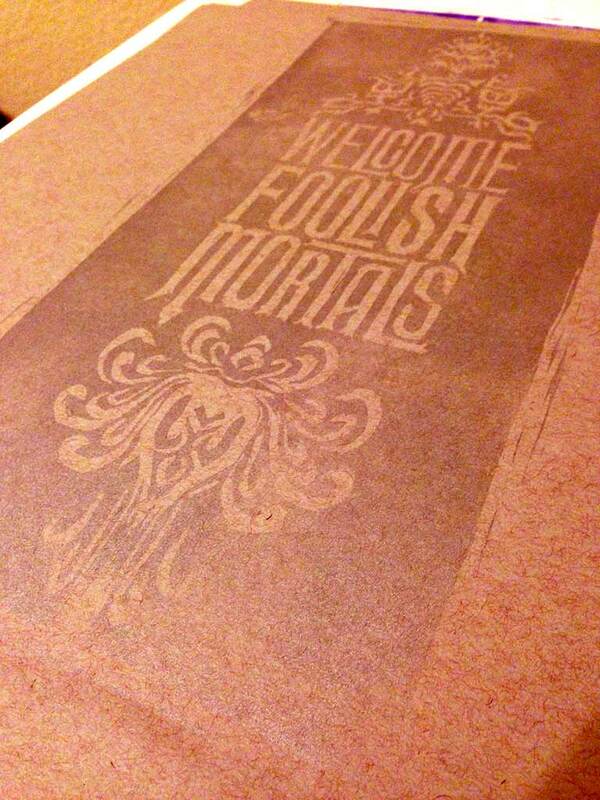 something related to the haunted mansion (my favorite attraction). so the medium was decided and the theme set all i needed to do was come up with something. luckily, i have lots of sketches laying about so i chose an old type experiment that i had been playing around with to transpose to a block cut. when all was said and done, there was one framed piece for the show and fifteen more hand-pulled prints for a limited creature feature run. next show is november and features brad bird’s iron giant.